Darrows Barn is a 1929 hay barn owned and operated by Coastal Rivers Conservation Trust. It has been converted to support community and musical events and is available to rent by the day or three day weekend. 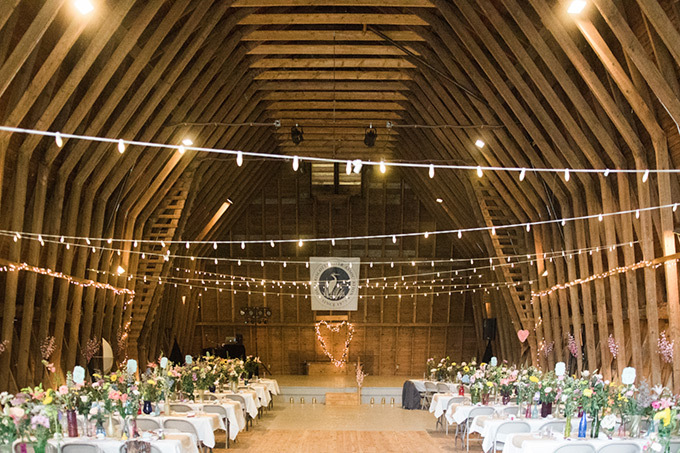 Known for its excellent acoustics and located less than 1.5 miles from the town center of Damariscotta, the barn is a perfect place to hold an event. 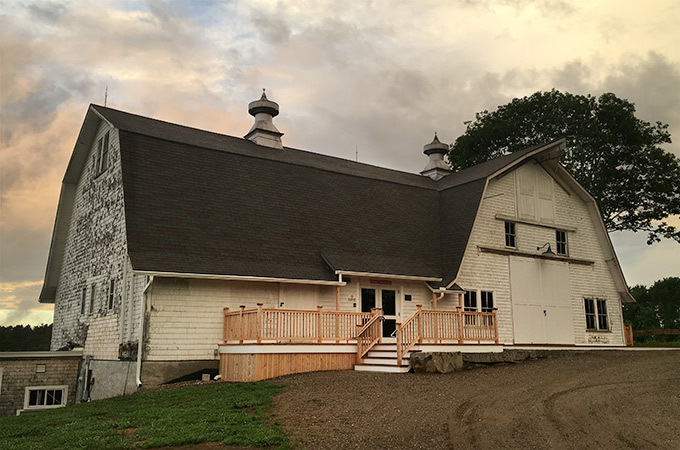 The barn is surrounded by 15 acres of riverfront hayfields, with public hiking trails down to picnic tables by the river and to the Whaleback Shell Midden State Historic Site. 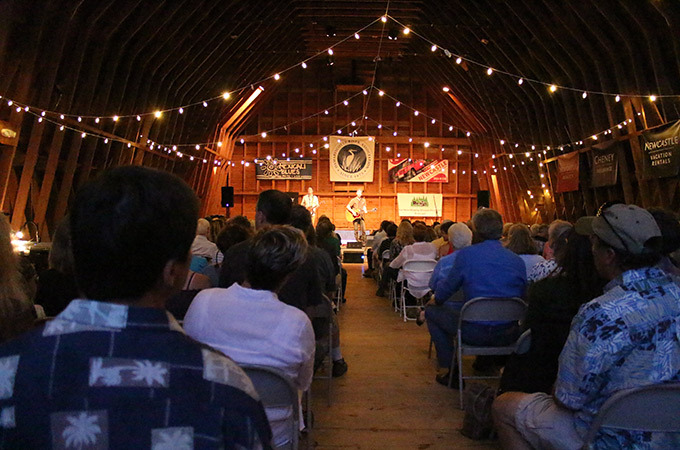 The site is unique and accessible, the barn remarkable and the setting extraordinary. Rental of the barn supports Coastal Rivers’ conservation work and efforts to maintain Round Top Farm as a unique facility open to the community. Round Top Farm is a unique facility open to the community. 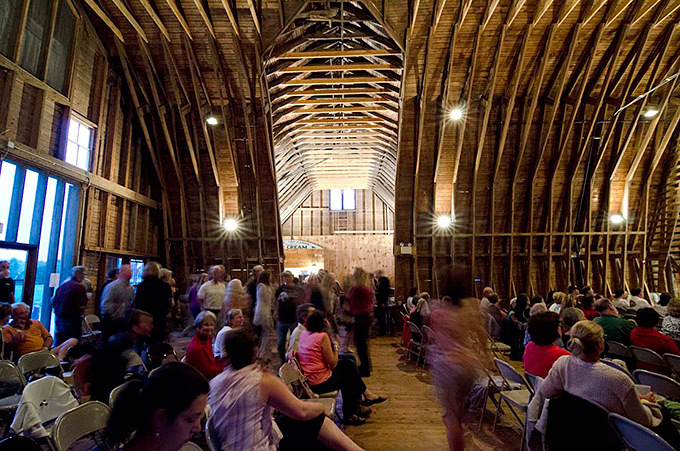 Darrows Barn is ideal for community gatherings, weddings, family parties, concerts and dances. 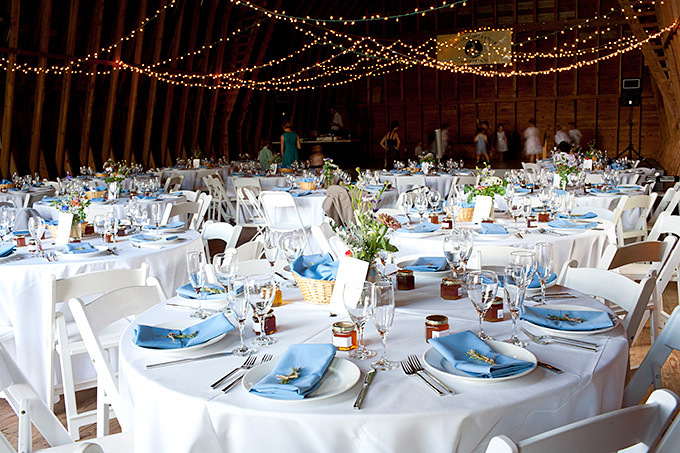 The barn will hold 200 people in seated rows and approximately 130 seated at tables. 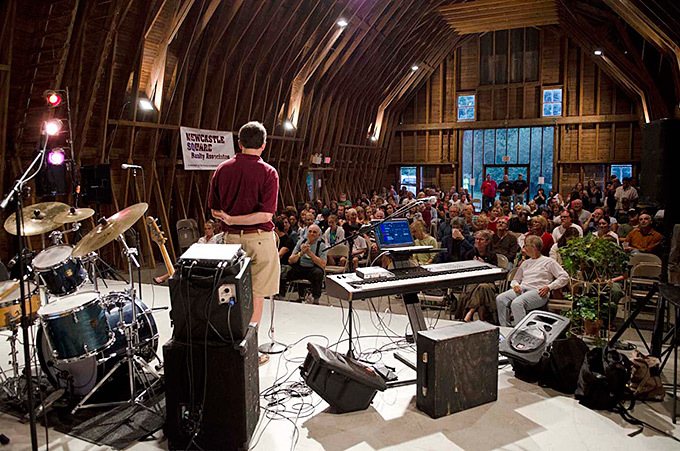 Past renters have raved about the barn, from its “amazingly good acoustics” to its “ample space,” “lovely building, grounds,” “location,” and “charm.” From local school graduations and alumni reunions to fundraising talent shows and benefit concerts to wedding receptions and music festivals the barn works for most any occasion. Check the calendar (at the bottom of this page) indicating availability of the Barn (subject to confirmation by the office). View a more detailed Round Top Farm-Property Use Policy summary. No dates are considered booked until half of the use fee is submitted along with a completed Coastal Rivers Facility Use Agreement. If the event the reservation is cancelled less than 60 business days prior to event then 50% of the total use fee will be retained. Final payment plus security deposit ($500 payable by separate check or credit card) are due no later than 30 business days in advance of your event. The Certificate of Liability Insurance listing Coastal Rivers as additionally insured is also due 30 days before your event. If cancellation is made more than 60 days in advance, deposit will be returned minus $100 non-refundable fee.